MyHome Toorak uses the latest methods for carpet cleaning. 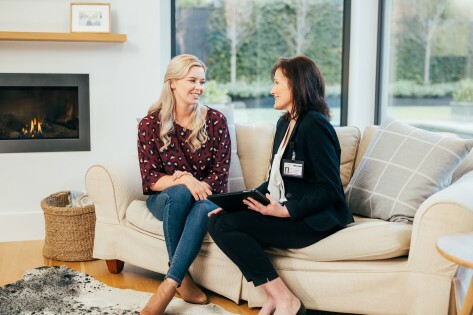 Unlike the old carpet cleaning systems that use harsh chemicals and litres of hot waters at MyHome Toorak carpet cleaning, we use the modernised DRY-Touch carpet cleaning method that cleans and dries the carpets in just one hour. We infuse our cleaning solutions with Healthguard that cleans the carpets and remove hard stains and fungus. Our cleaning methods are modern as we value your carpets brightness and colours. Where conventional carpet cleaning ruins the carpets shine, our processes ensure that your carpets are cleaned thoroughly while retaining its natural brightness and fragrance. We value the life of your carpet and do not use hard chemicals that stretches or leaves the carpet smaller. We are very careful about applying heat, and moisture to your carpet to ensure the carpet is not damaged in any way. Standard and old carpet cleaners can never be this careful! We do complete vacuuming of the carpets before we start the actual wash and dry. This is to ensure the best results. People make an investment when buying carpets. They use it for many purposes. Some people prefer to decorate the house in style using fancy carpets while others just enjoy the warmth it brings to the house. People are selective in their choices of carpets; some prefer style while others are looking for a good bargain. Carpets also make the hard floor safer and more protected for young children and pets. Some people also prefer a carpet to naturally insulate their home and assist with saving on their energy bills. So, with all the benefits of carpets how do you keep them long lasting? Simply by using the expert services of Carpet cleaners such as MyHome Toorak Carpet Cleaning. A regular carpet cleaning routine from our service centres will keep your carpet in excellent condition. 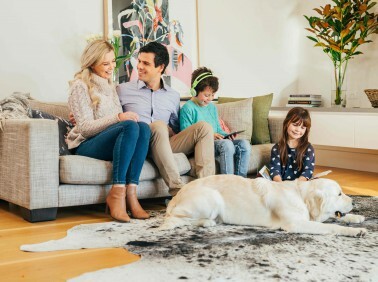 You will not be looking to buy a new carpet if you ensure proper cleaning and maintenance of the carpet using the MyHome revolutionary DRY-Touch cleaning option. Many people vacuum and clean any spots from spilt food or drink, or animal or human accidents, and fail to have their carpets cleaned professionally. When you consider all the nasties that can hide and breed (such as bacteria, dust mites, and fungus) in the deeper fibres of carpet, it’s not wise to spot clean. There are allergens, dirt and dust, dry skin and hair, pet dander, body oils, bacteria, mould, and grime living in non-professionally cleaned carpets. Using professional cleaners such as MyHome Carpet Cleaning Armadale regularly keeps your carpets fresh, clean, and healthy. It’s an excellent way to maximise your investment. The MyHome revolutionary DRY-Touch Cleaning system lengthens the life of your carpets and saves you having to go to the trouble and cost of replacing them. Your carpets stay looking great, smelling fresh and won’t spread disease-causing allergens, moulds, funguses, and bacteria. The best part is that MyHome does all of this without soaking your carpets in litres of water and leaves you freshly cleaned rugs and carpets you can walk on in only one hour. We are confident that we deliver exceptional carpeting cleaning always, and there are no exceptions to our service standards. If you can find a single fault in our cleaning, we promise to do a recleaning absolutely free. Carpet cleaning is an important process. Old school cleaners use high heat, harsh chemicals and improper drying of the carpets that leaves carpet damaged and out of shape. Call us on 13 22 31 for a free quotation and avoid any hassles and we will take care of the complete carpet cleaning for you.